Greetings Nancy, this sequence of the film was great…from my point of view (sorry I just had to paraphrase that line!) 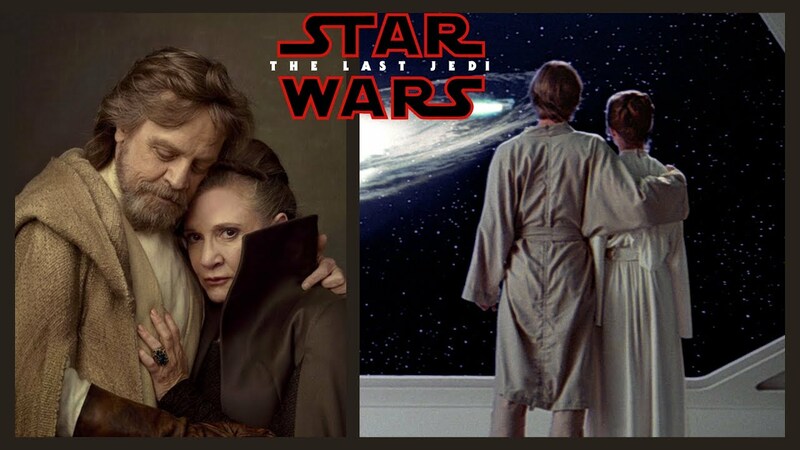 The reunion between Luke and Leia/Mark and Carrie was soo difficult to watch but was something I owed both actors. Then from this poignant moment Luke faces off with Kylo/Ben and he taught us a lesson in psychological warfare. Luke showed us that great warriors aren’t just great lumbering hulks of men/women but GREAT warriors are THINKERS too, by outwitting his nephew to buy time for the Resistance and Leia to escape. I thought this showed Luke had matured and learned becoming much more accomplished than he was when he “impulsively” departed Yoda and Dagobah in Empire Strikes Back. Some fans felt short changed by it but I thought this sequence was fabulous. You have a good point. While I can objectively look at the scene from that angle, my heart pulls me in the other direction. I just wanted MORE from their reunion. I understand and I would have liked a real “In-Person” reunion too. Now though, I have to prepare for what is coming in Solo: A Star Wars Story. And I’m not sure I like the redesigned Millennium Falcon…but I guess I’ll have to see it in situ on screen to decide! Well I will approach the film with an open mind (I have tried to avoid any SOLO spoilers but I got caught out and saw the new Falcon design on a forum I post on) All I can do is give the film a chance. Dang I couldn’t agree more with your perspective on Luke!!! Later in the week I will have a guest post on The Imperial Talker in which I go into MUCH more detail about my disappointment with Luke’s arc. Mine was Rey’s and Kylo’s fight with the Praetorian guards, even though I was slightly disappointed that they didn’t just team up and kill everyone. The fight scene was very cool, but I am glad that Rey resisted Kylo and hope she continues to do so. Yes, I too had longed to see Luke and Leia together in VIII, but th scene was too brief, and as poorly written as th rest of th movie. I watched it twice, so I could get past the shock of the first viewing. I’m still holding onto the hope that JJ Abrams will somehow bring Luke back alive. I'm sticking w th OT and Rogue One!